When Zac and Julie purchased Alderlea Vineyards in spring 2017, they were impressed by success of the Alderlea brand and by the established clientele of restaurants, liquor stores and wine shop customers. Their goal is to maintain the high quality and consistency of the Alderlea brand wines over time. Setting up their company as Motovino Wines (doing business as Alderlea Vineyards), has allowed for the development of some other labels and the chance to create some new blends, in addition to the single varietals sold as Alderlea. 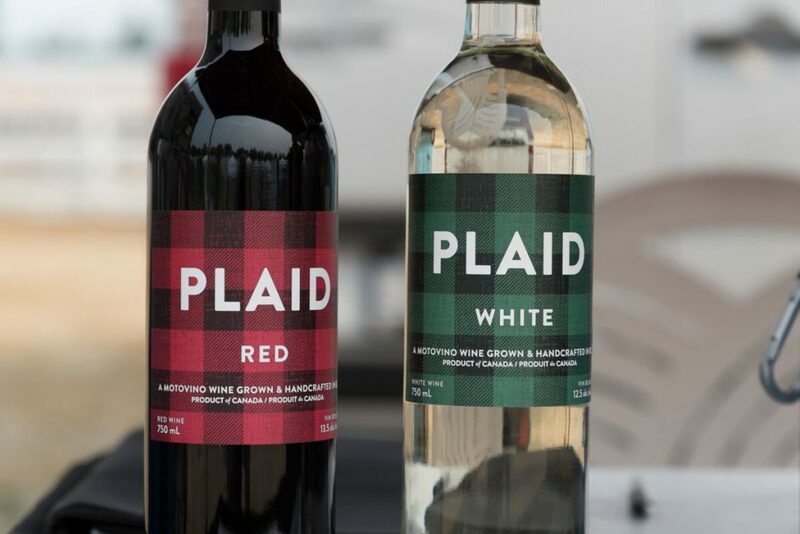 In the summer of 2017, they created the Plaid label and the two initial offerings, Plaid White and Plaid Red, are easy-drinking fruit-forward blends that are perfect for sipping or pairing with west coast cuisine. In the spring 2018, they added a Plaid Pink rose wine to the mix. Plaid wines are sold at the Island Roots Farmers’ Market every Wednesday in Nanaimo and at a few of the Esquimalt Farmers’ Markets in Esquimalt. They are also available through the Alderlea Vineyards` Wine Shop in Duncan. The Motovino labels allow Zac and Julie the flexibility to partner with other local growers to create different blends and to explore potential custom crush and bottling opportunities for specific restaurant clients. In future, there is also the possibility of offering wine education events and mentoring for up and coming winemakers through the Motovino brand.